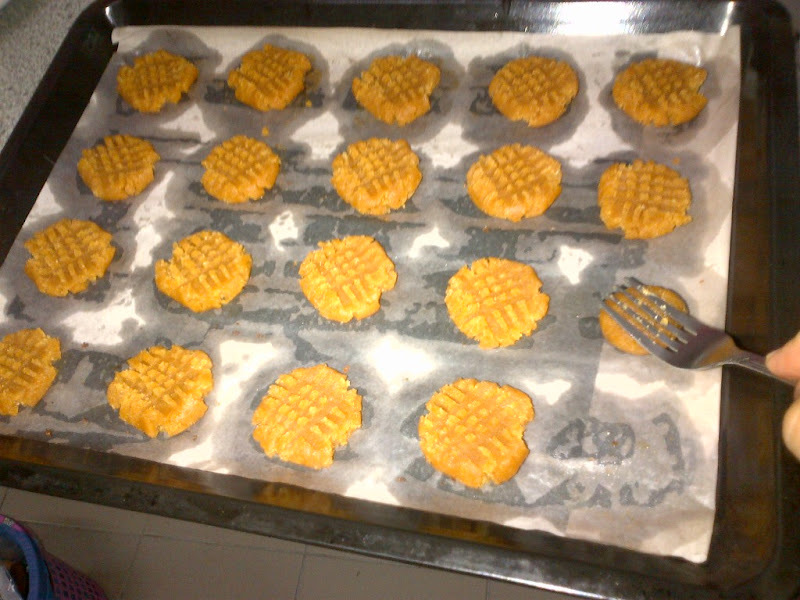 My second cookie for raya is peanut butter cookies. It is really simple to make, I don't even use butter and flour. 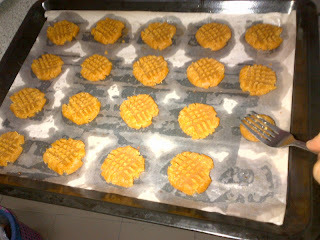 For someone who has a very active and bubbly baby to tend to and also wanting home made raya cookies, I need a simple, easy and quick recipe that doesn't require much work and time. 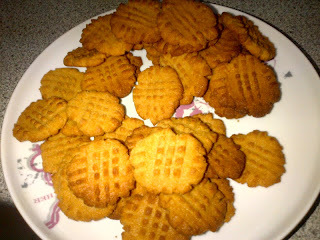 They're not the prettiest but they're really yummy and peanut-buttery, perfect for peanut butter lovers.